Carol Powell, 87, of Connersville went home to be with the Lord on Thursday afternoon, November 22, 2018 at Reid Health, Richmond. One of eight children of John Thomas and Daisy Crask Houston, Carol was born in Connersville on July 3, 1931. On October 27, 1950, Carol married Leonard Powell in Connersville. Mr. Powell survives. For several years, Carol was employed as a secretary for the Fayette County Board of Education. 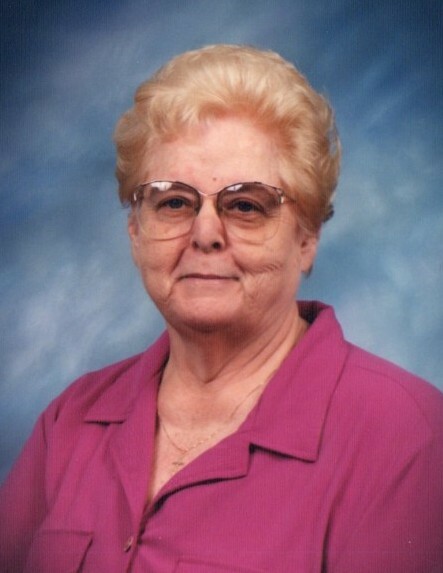 She was a devoted homemaker and faithful member of Everton Southern Baptist Church. Besides her husband of 68 years, Leonard Powell, survivors include four grandchildren; several great-grandchildren; several nieces and nephews. Carol is preceded in death by her parents; a daughter, Cheryl Ann Powell; five sisters, Izetta “Petty” Stroud, Margaret Marie Hilbert, Christy Borger, Eula “Sis” Courtney, and infant Elizabeth Lee Houston; two brothers, Harold and Leonard Houston. Family and friends may call from 11:00 a.m. until the time of service at 1:00 p.m. on Tuesday, November 27, 2018 at Miller, Moster, Robbins Funeral Home. Reverend Fred Helton will officiate. Burial will follow in Dale Cemetery.